A Few Star Wars Autographs For Sale. Been having a real clear out lately and I have these autographs for sale if anyones interested in them. All of them are unconditionally guaranteed as authentic and all prices include postage. My apologies for the poor pictures. They were taken from my iPhone. 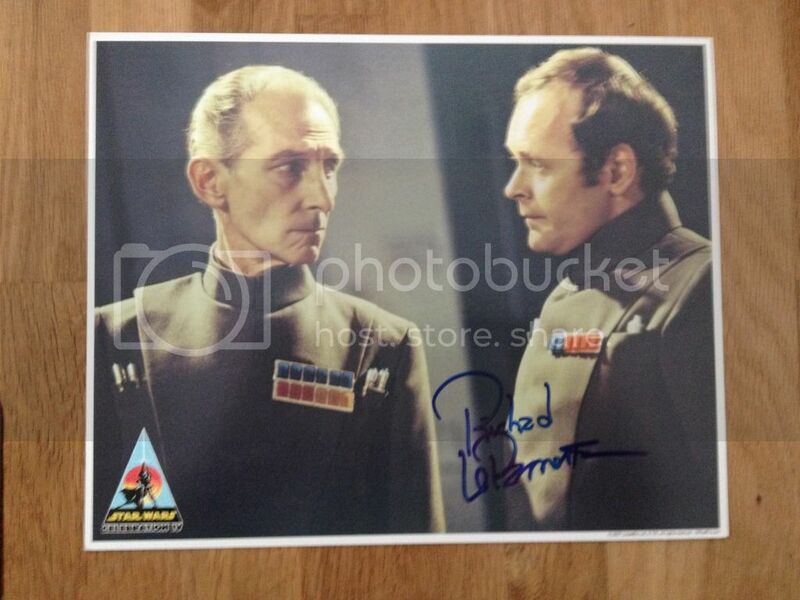 I do have other autographs that I may be adding shortly including multi signed Star Wars posters. Giving the posters some serious consideration though before parting with them. First up is John Hollis (Now deceased) as Lobot. A nice clear signature on a fantastic shot. 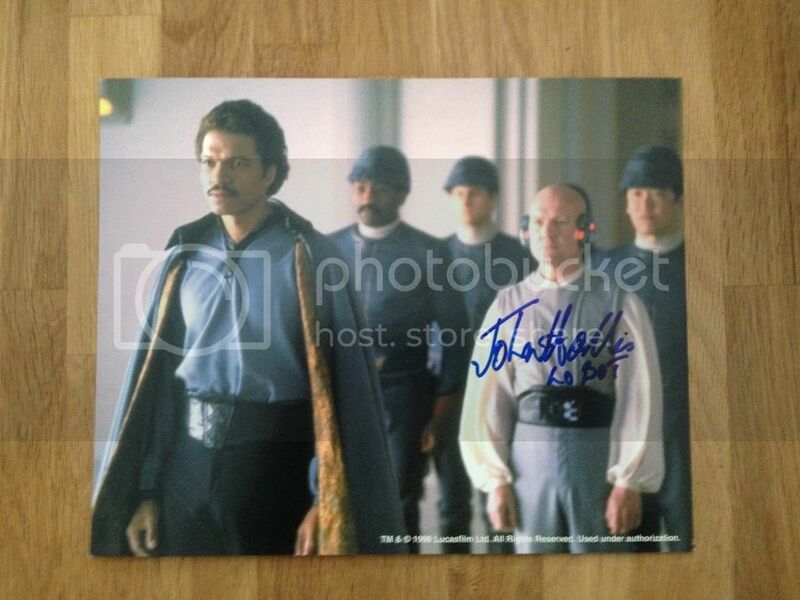 There's always the option of adding Billy Dee Williams for an awesome dual signed 8x10. Not an impossible task either. Billy Dee is a regular at Showmasters events. Signed on an offcial LucasFilm 8x10. £40. Next is from another deceased actor. Richard LeParmentier as Admiral Motti. Signed at Celebration 4 on an official LucasFilm 8x10. £30. Another deceased actor. Michael Sheard as Admiral Ozzel. Not the greatest of photographs, but the signature is real and signed by someone who is no longer with us. £30. Finally. 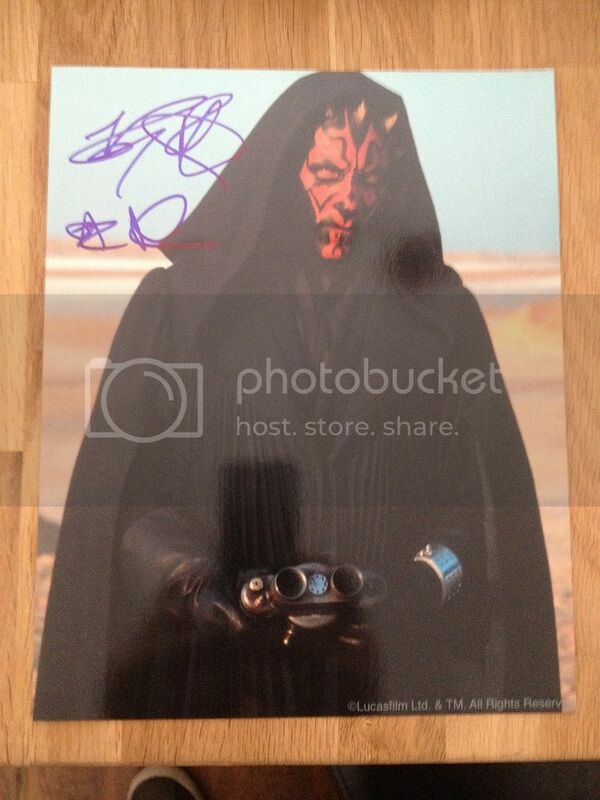 Ray Park as Darth Maul on an official LucasFilm 8x10. £20. 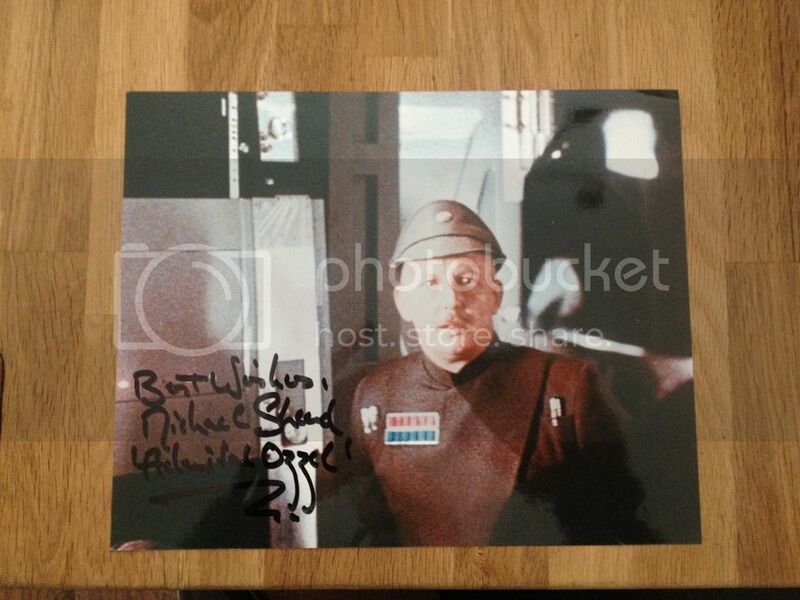 Re: A Few Star Wars Autographs For Sale. All sold except for Ray Park.